Black Mountain Artisans (BMA) is a West Marin fiber artist cooperative. Its mission is to provide show and sales space for high quality local and Bay Area fiber artists. BMA represents approximately 36 Bay Area artists, including 27 West Marin Artists. Most BMA artists source from local shepherds and farmers. BMA is the local equivalent of "Fair Trade" by providing local fiber artists the opportunity to sell their work with the highest possible gain for themselves, keeping monies within the community. Work includes hand spun and hand dyed local wool and yarns, hand knit and hand loomed sweaters, cardigans, hats, scarves, shawls, hand woven garments, baby clothes and hats, as well as jewelry. All work is hand made and one-of-a-kind. Approximately 75% of the artists live and work in Bolinas, Point Reyes Station, Inverness and Marshall—all West Marin towns. Marlie de Swart owns and operates the cooperative that was started as Black Mountain Weavers 27 years ago by 5 Inverness weavers. BMA is proud to have some 5 hand spinners in the group. Most wool is hand spun and hand dyed (with natural or "green" dyes) fiber, from locally raised sheep, alpaca, llama and angora rabbits. BMA even has hand spun yarn from dog and cat hair blends. Each spinner creates her own style of yarn—from wild novelty yarns to conservative but beautiful 2-ply sport weight yarn. The offerings are always changing. In addition to hand spun yarn, BMA offers mill spun yarn from local shepherds, such as Windrush Farm, Lost Coast Yarns, 10-acre Tomales Bay Yarns and Feline Fibers. BMA has a small selection of commercial yarns as well. BMA is also the West Marin dealer for Louet spinning wheels and weaving equipment. 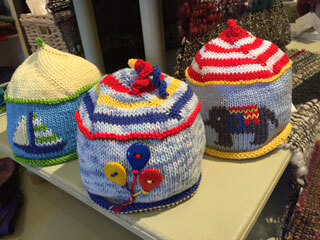 Patricia is a native of Yucatan, Mexico, and has been working with fibers since she was able to thread a needle. In 2004 she met Polly Stirling, who is known for her contemporary approach to the medium of handmade felt. This technique provides a way to create lightweight felt appropriate for the mild winters in California. Patricia is attracted to the myriad of possibilities that Nuno felt offers: the transparency, the ability to drape, the exciting textures, the possibility of layering materials and the different ways to approach garment construction. 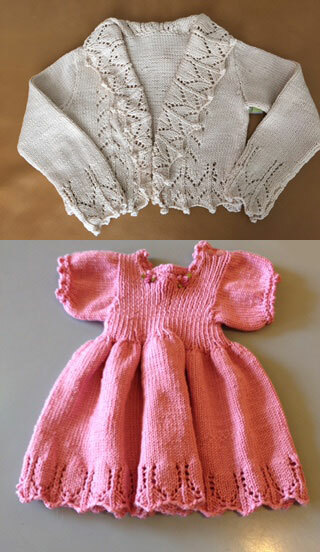 Midge knits baby and children's clothes—the cutest baby socks and hats—as well as adult cardigans and sweaters. Midge is the classically trained knitter in the group and can answer any knitting question you may have. Charmaine's love of fiber began in the Textile Department at San Francisco State University, with an interest in weavings from different cultures, specifically Peruvian, Guatemalan and Indonesian Ikat weavings. Weaving lead to an interest in knitting, spinning, and natural dyeing. Currently her specialty is woven blankets, shawls, throws and neck-scarves. 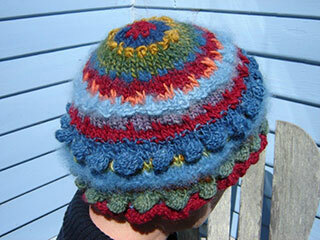 Her passion is hand spun, hand knit, natural dyed patterned hats. Barbara was the test knitter and technical advisor to the pattern book Knitting Woolscapes. Barbara has been a knitter for most of her life. She is meticulous and applies a scientific and educational approach to knitting. She is familiar with a variety of instructional methods and advises and teaches beginning to advanced knitters. Her finished work is professional to the extreme. Barbara sells children’s clothes and adult garments at BMA. Diane is a spinner and knitter. She spins doghair, milk proteins and other non-traditional yarns, and makes shrugs and jackets with them. Diane is an innovator in spinning, makes many shrugs that fly off the shelf and uses vintage design ideas to create totally new "hip" garments.